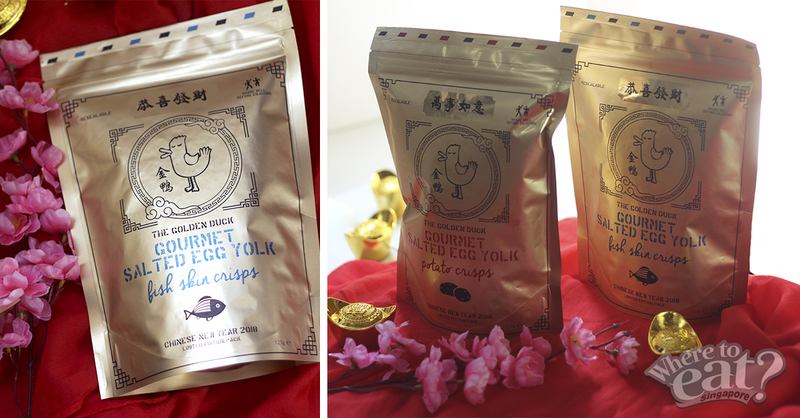 Let your Lunar New Year be filled with an abundance of wealth and prosperous blessings by celebrating in style with The Golden Duck Co! From salted egg yolk potato crisps to fish skin crisps, you will never have to think twice again as you munch on the popular favourite crispy goodness. Well, that’s not all. 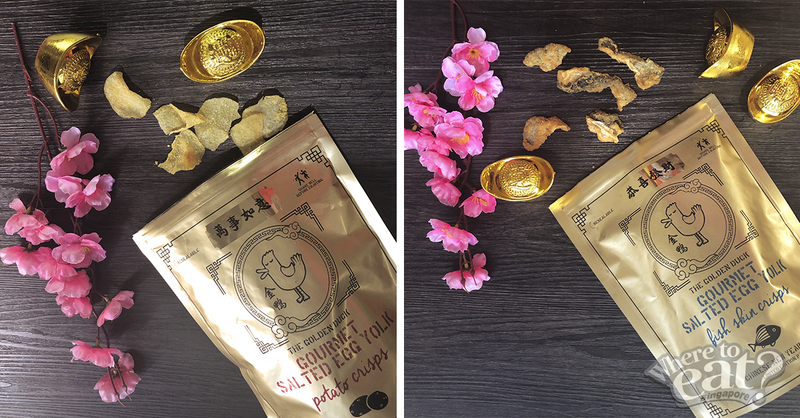 Expect an unveiling of The Golden Duck’s salted egg snacks ($7 each) in a limited-edition packaging in a royal auspicious gold sheathe at all stores from 20 January 2018 and incorporate this limited-edition gold pack(s) into your CNY festive celebrations! 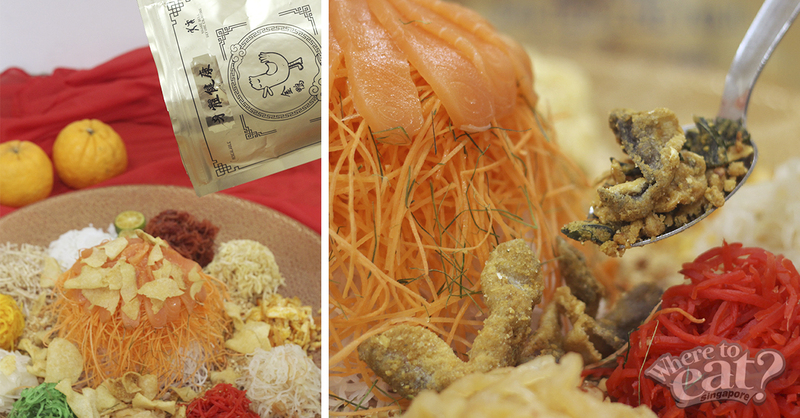 You could either use it an auspicious customary exchange in place of mandarin oranges, or tweak your traditional Yu Sheng to a modernized dish by replacing crackers or raw fish with The Golden Duck’s Fish Skin Crisps! Else, these pretty-looking packs can simply remain as prosperous and practical gifts for your loved ones and friends. Each beautiful golden pack comes with an auspicious blessing, such as 步步高升 (wishes for progression) and 身体健康 (wishes for good health). With a total of 8 variations, collect 5 or more different blessings and you might just be on your way to win fabulous prizes (worth up to $3,888). Collect from FIVE to EIGHT different auspicious blessings (the more you collect, the larger your prize). Take a picture of the different packs alongside your photo identification card. Send your picture to contest@tgdsingapore.com. All contest submissions must be received by 16 March 2018, 2359hr. Winners will be notified via email. T&Cs apply. Please log on to www.thegoldenduck.co/thegoldenhuat for more information. Not feeling huat enough? Add a little more fun and prosperity to your Lunar New Year by incorporating The Golden Duck snacks in your Yu Sheng session through a short video and tag #tgdsingapore. The most creative entry will walk away with 88 packs of The Golden Duck snacks! Contest ends on 2 March 2018, 23.59hr. T&Cs apply.